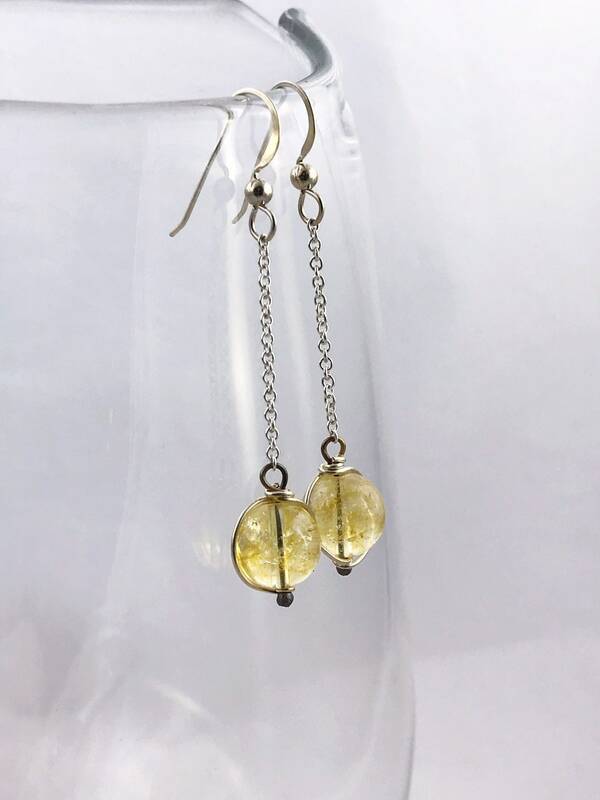 Sterling Citrine Crystal Orb Earrings - Solid Sterling Silver - Round Translucent Citrine Crystals - Long Dangle Earrings - "Sunlight Orbs"
Inspired by the 1920's Art Deco "Pools Of Light" jewelry designs are the "Sunlight Orb" earrings. 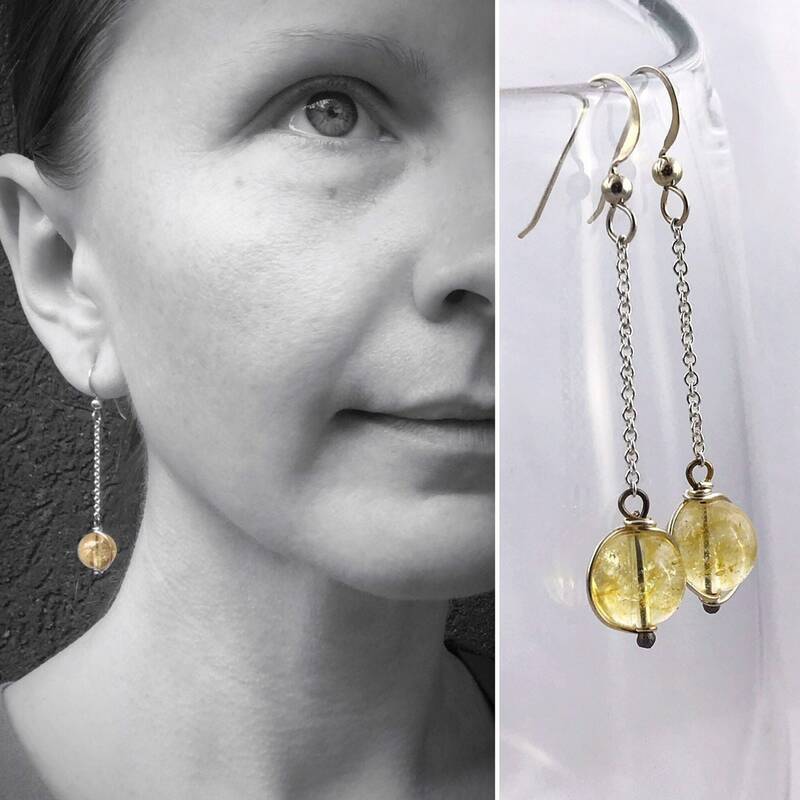 Luminous genuine citrine crystal orbs dangle and catch light beautifully in their solid sterling silver wire settings. 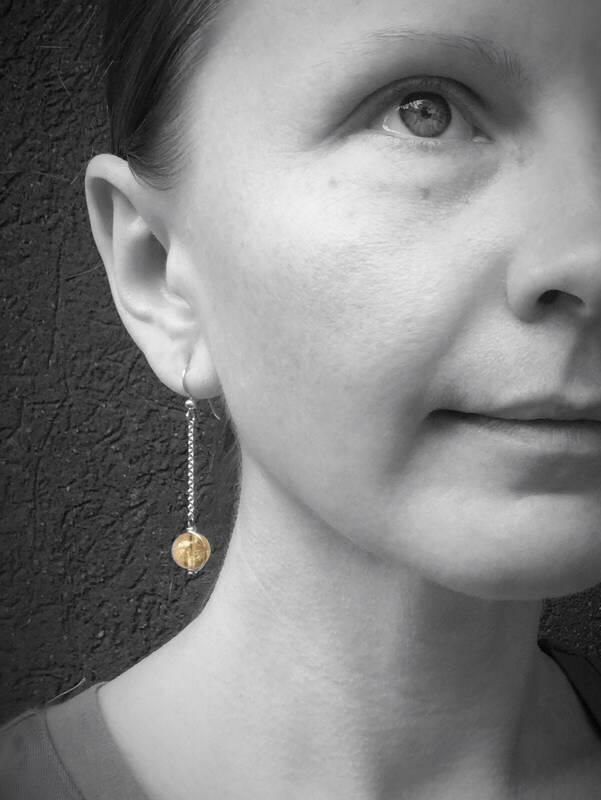 Solid sterling chain and solid sterling ear hooks complete the design. A nod to the golden age with a modern minimalist aesthetic, they make an elegant and timeless statement. 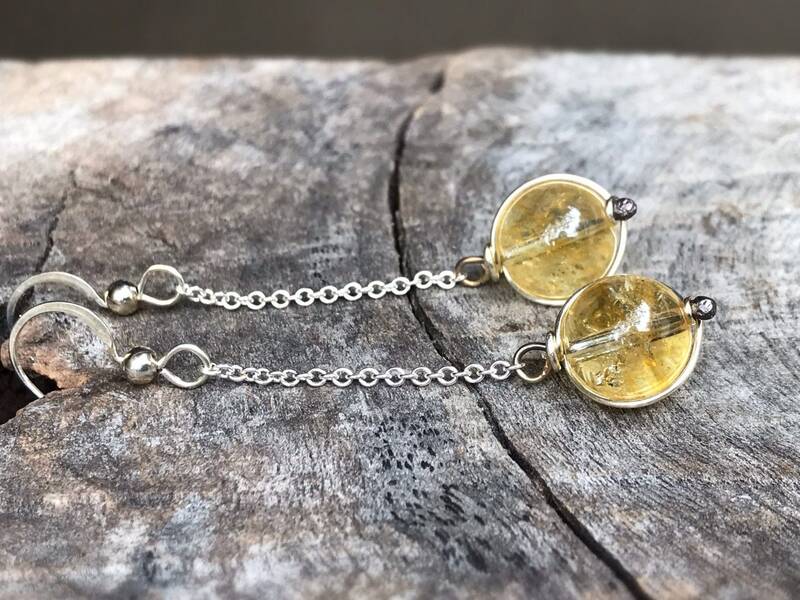 Citrine is known and prized for it's bright and happy energy, like a crystalline drop of sunlight. It is said to bring cleansing and renewing energy, as well as clarity and abundance to it's surroundings. 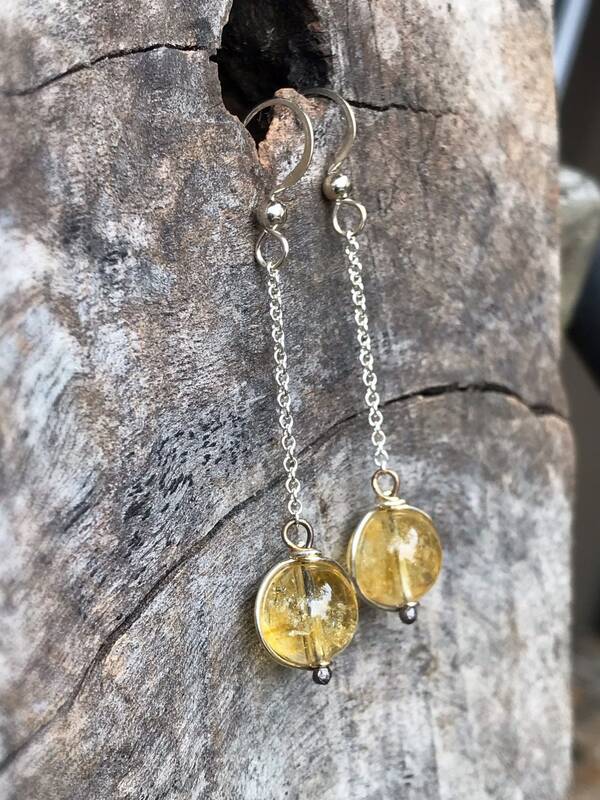 These earrings are made to order, the pair in the photos is sold and yours will be created just for you with their own luminous golden orange citrine crystal orbs. 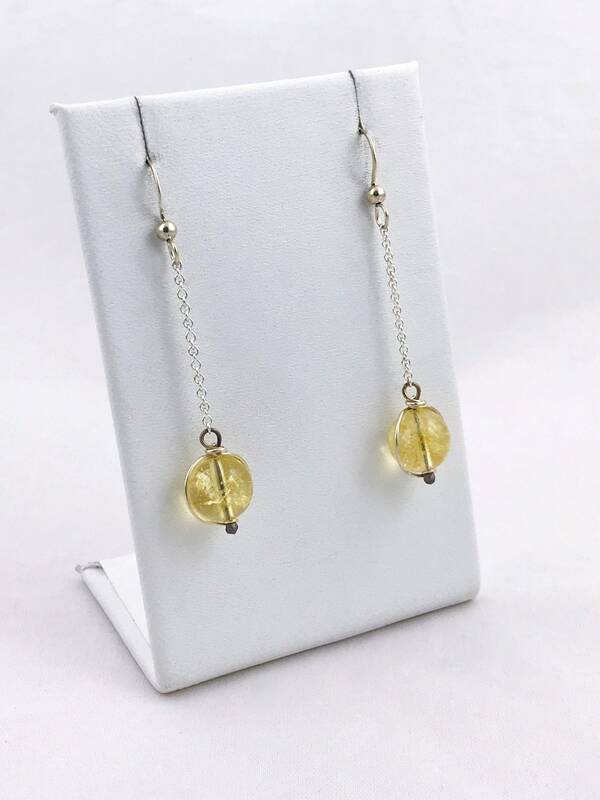 -Earrings feature genuine polished 10mm round citrine crystal orbs, center drilled. 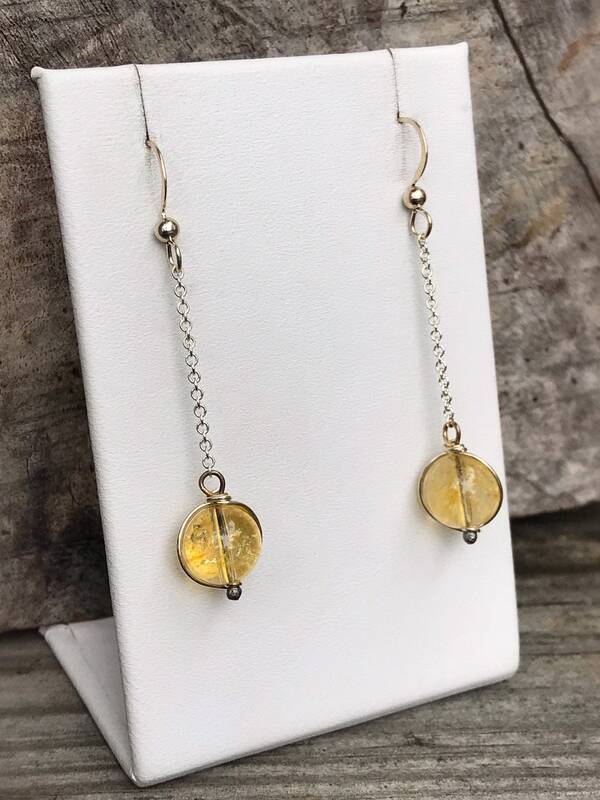 -Citrines are a honey golden orange in color and translucent (light can pass through) with an array of beautiful inclusions. 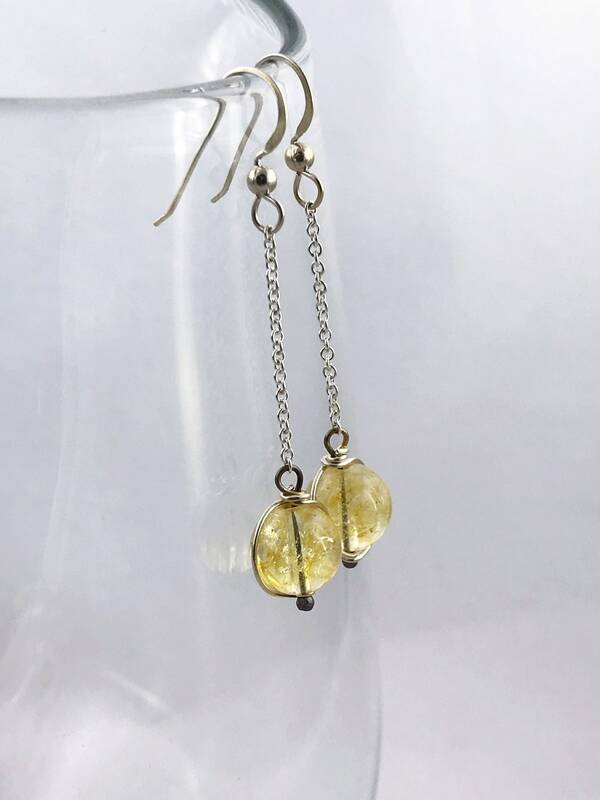 -Citrine orbs are mounted on solid sterling silver torch fired headpins which run through the center of the orbs and then wrap fluidly around both sides. Bottoms of headpins are left darkened from torch firing to add contrast and a contemporary edge to the design. -Earring hooks, chain and all findings are solid sterling silver.